As racers started to arrive at Apex RC and Hobbies in Murfreesboro Tennessee you could feel the energy in the air. Racers from all around North America packed into this fantastic RC racing facility with their focus on the prize. In this case the prize is the ever-coveted ROAR National Championship. 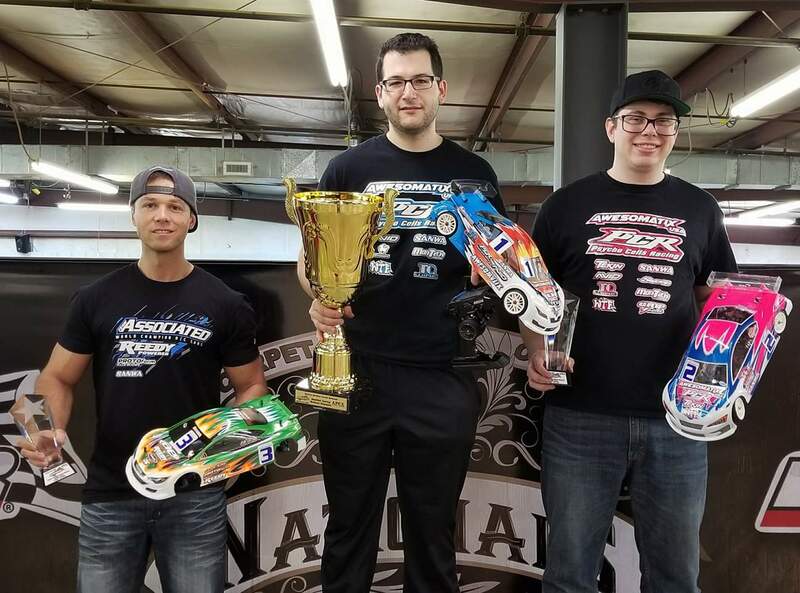 Awesomatix brought a solid team of drivers to compete in all four of the classes at the Nationals. The team work and dedication by the team really paid off in the end and now the Awesomatix team in 5 short years has 18 ROAR National titles with four of them coming in 2018. In the Modified Sedan Class, we saw Sam Isaacs and Mike Gee battling the entire weekend for the top spot leaving many of the other team scrambling to find the pace these two had. After four rounds of qualifying Awesomatix was able to put five cars in the top ten. Sam Isaacs would retain the TQ with Mike Gee in 2nd, Kyle Klingforth in 6th, Matt Lyons in 9th and Donny Lia in 10th. Sam was able to put down two dominating runs in the first two mains to secure the overall title with Mike Gee finishing second overall. Kyle, Donny and Matt finished 8th, 9th and 10th respectively. 17.5 sedan is always a popular class which brings in some serious competition and this year was no different. Many of the team posted some of their best modified drivers to try and compete for the top of the top in the super stock class as well. Mike Gee from Awesomatix USA was the man to beat all weekend. His A800XA was super quick and was setting the pace through qualifying. A couple of close battles with fellow Awesomatix driver Eric Anderson meant those two would start 1st and 2nd on the grid. 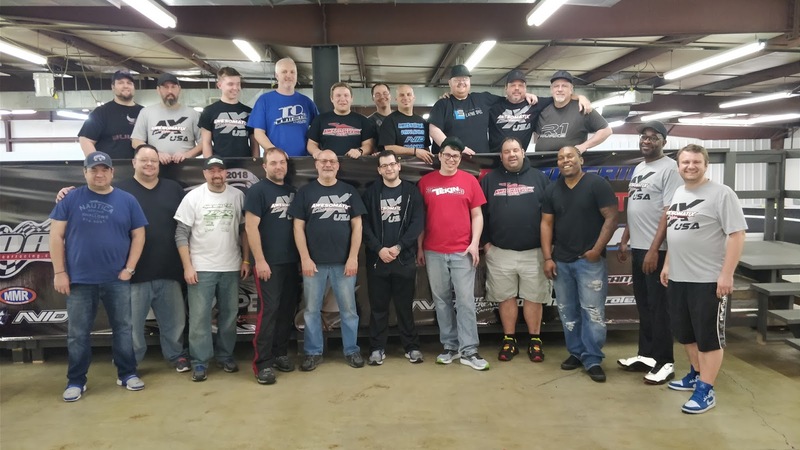 Once again Awesomatix was able to drive five cars into the top 10 with Mike Gee as TQ, Eric Anderson 2nd, Matt Lyons 3rd, Kyle Klingforth 4th and Ray Darroch 5th. That’s right the top five cars in the 17.5 class were all Awesomatix. 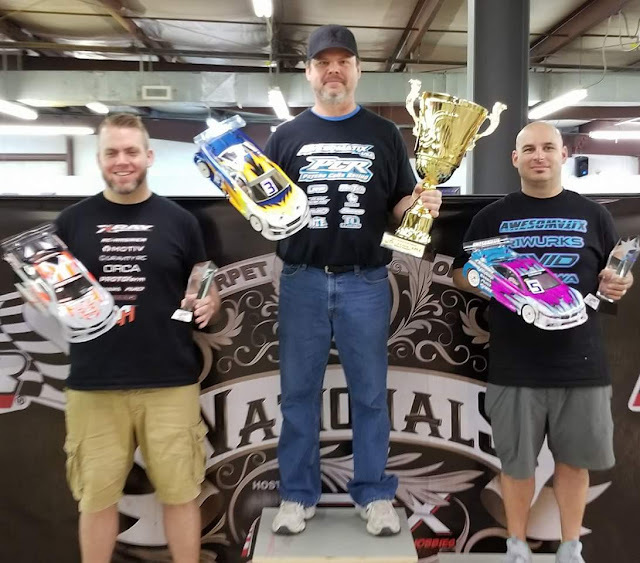 In the End Mike Gee was able to win both A1 and A2 to take the overall National Championship in the 17.5 Sedan class with Eric Anderson finishing 2nd overall followed by Matt Lyons 3rd, Kyle Klingforth 4th and Ray Darroch 5th. Top five drivers were piloting Awesomatix car after all was said and done. 21.5 Sedan was very close and competitive all week. Awesomtix had their work cut out for them as they tried to capture a National Championship. This class was ablsolulty dominated by Awesomatix cars with the team able to fill 8 of the 10 spots in the main. Qualifying was very close and saw multiple drivers vying for the top spot. In the end Cory Parsons was the man on top. He put together a great run in the 3rd round of qualifying to take the TQ position. Bill Sydor Qualified 3rd, Dustin Layne 4th, Art Scrimo 5th, Justin Lyons 6th, Michael Skeen 8th, Brent Klingforth 9th and Furman Walker 10th. The mains saw a couple of different winners with Bill Sydor taking A1 after a great drive from 3rd on the grid and A2 going to Team Xray’s Luke Pittman. 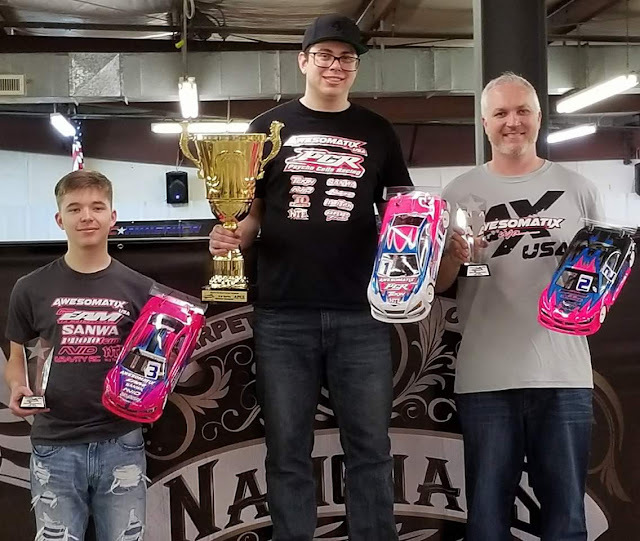 A3 was a battle to the end in which Bill Sydor was able to capture the overall title and secures the ROAR National Championship in 21.5 Sedan. Art Scrimo from 5th on the grid was able to put in a couple of great runs in the mains to capture 2nd place overall. Cory Parsons ended up 4th overall, Dustin Layne 6th, Justin Lyons 7th, Brent Klingforth 8th, Furman Walker 9th and Michael Skeen 10th. USGT is always a popular class and this event was no different with some great racing all week at the 2018 ROAR Carpet Nationals. 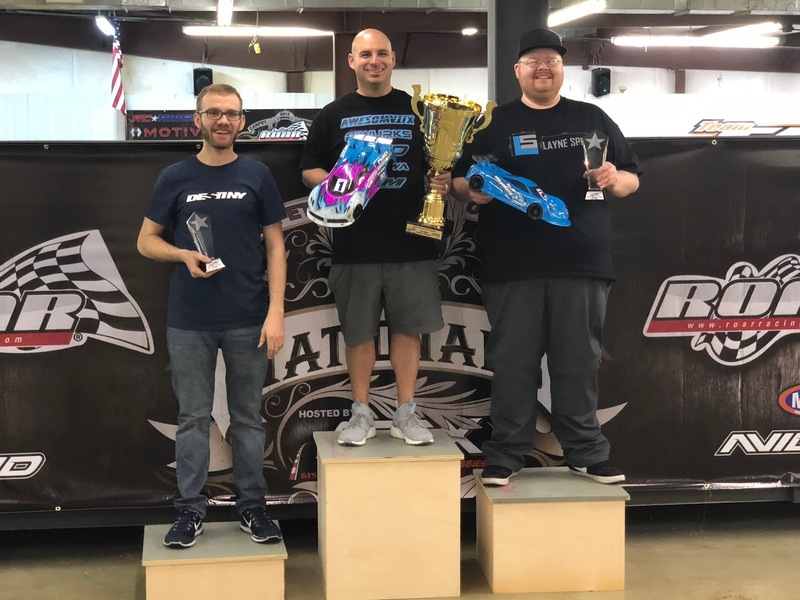 Team Awesomatix was able to secure the top three spots in the top 10 with Art Scrimo TQ, Dustin Layne 2nd and Chris Kemper 3rd. After a rough start for the field Team Destiny’s Johnny Carey put in a great drive to capture A1. That meant that team Awesomatix had to buckle down to work to capture the overall title. A2 and A3 went solidly for Team Awesomatix as Art Scrimo put in two great runs to capture the overall title and crowning him as the ROAR National Champion. Dustin Layne finished 2nd overall with a couple of solid runs and Chris Kemper ended up 4th overall. In the end it was a great week for the team and the results seem to speak for themselves. Look for Team Awesomatix in April at two major events - Mile High Indoor Championship and ROAR Paved On-Road Nationals.